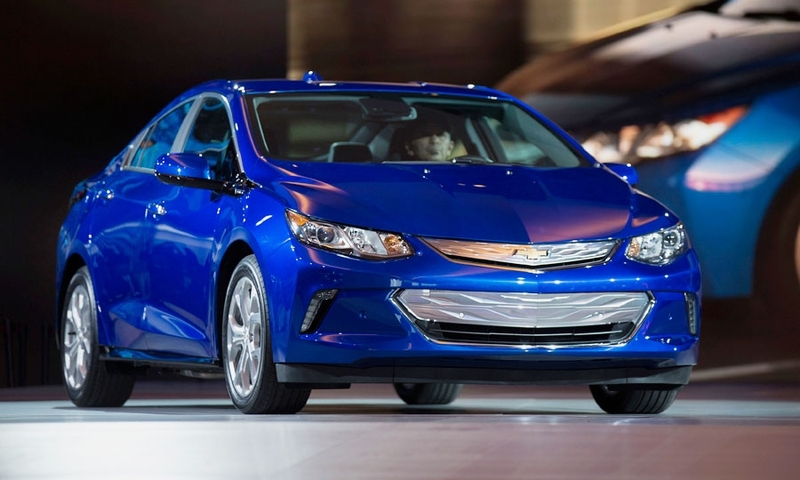 DETROIT -- The second-generation Chevrolet Volt will go about 50 miles on an electric charge, up from 38 on today's model, as General Motors looks to broaden the plug-in hybrid's appeal beyond environmentalists and tech geeks. 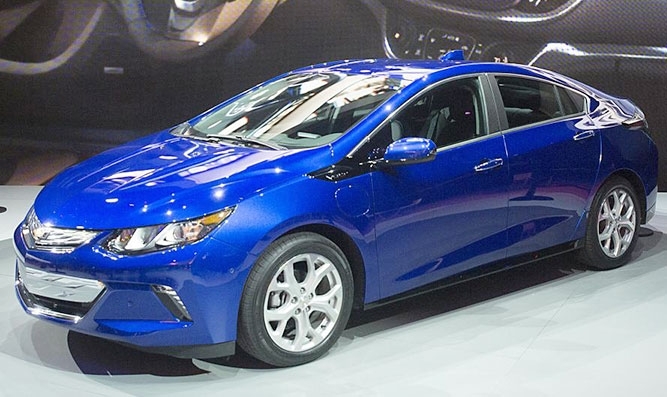 The 2016 Volt, unveiled today at the auto show here, is a clean-sheet redesign of the ground-breaking first iteration that went on sale in late 2010. 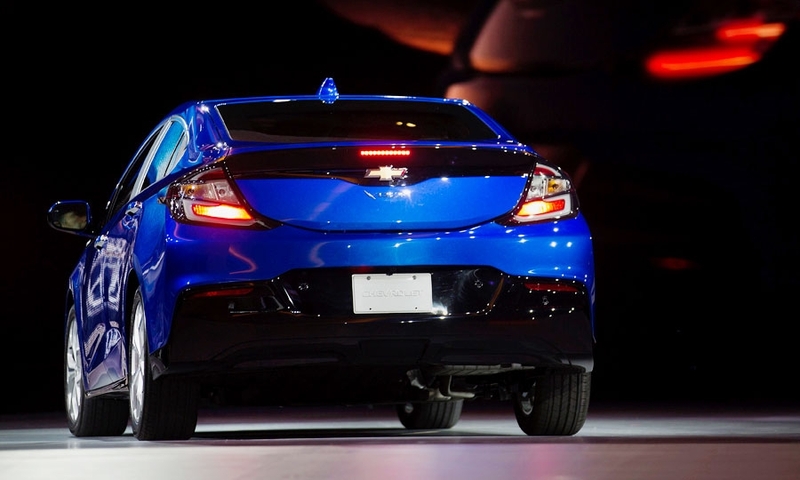 GM says the car -- which sports more sedan-like styling and a more sinister face -- will be quicker off the line and quieter inside when it hits showrooms in the second half of this year. And in a sign that GM intends to assert itself as a leader in mass-market cars that plug in, the company revealed the Chevy Bolt, a concept battery-electric vehicle that it says will get around 200 miles of range from a single charge. GM intends to get the Bolt into production sometime in 2017, according to a person with knowledge of the company's plans. It will be priced somewhere in the low-to-mid $30,000s, or under $30,000 after a federal tax credit for EV purchases. The vehicle would compete squarely against Tesla Motors' planned Model 3. That entry also is slated for a 2017 launch and is expected to carry a similar price tag and deliver at least 200 miles on a charge. 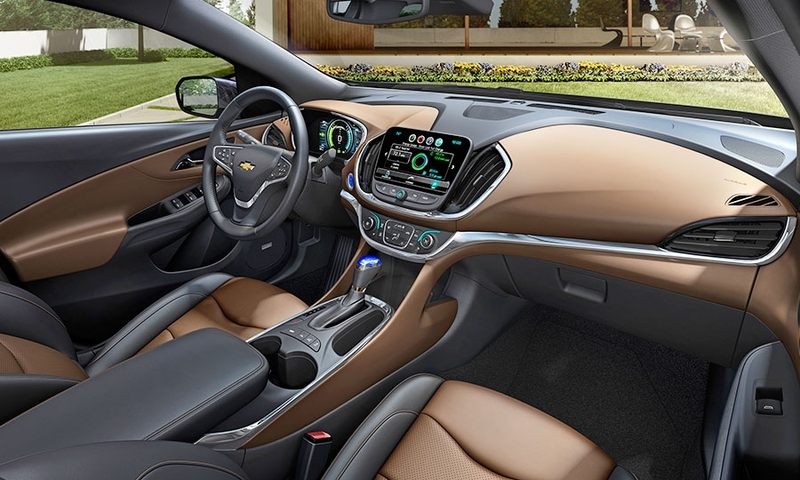 The heavy lifting that went into the Volt's redesign reflects a commitment to the car that some pundits figured GM wouldn't have the stomach for after sales of the first one fell short of expectations. 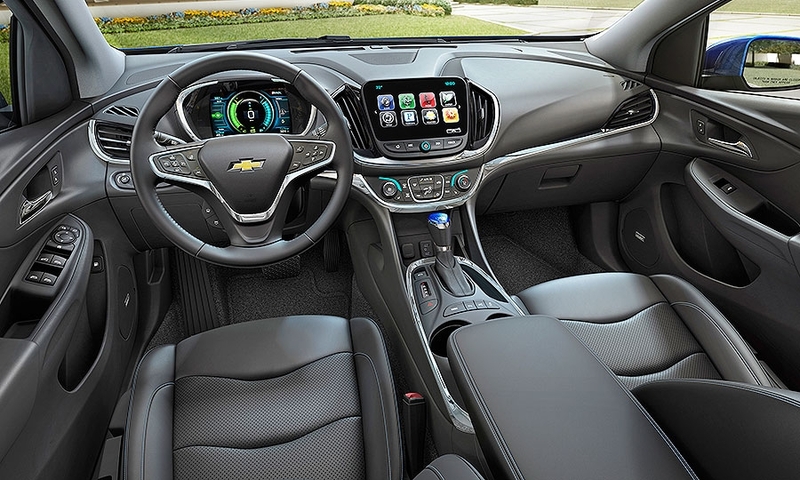 Given that the current car is widely believed to lose money on a per-unit basis, GM might have been tempted to keep a lid on costs by reusing major components. Not a single part was carried over from the first generation's drive unit, and the battery pack -- the most costly component -- is almost entirely re-engineered and redesigned, too. 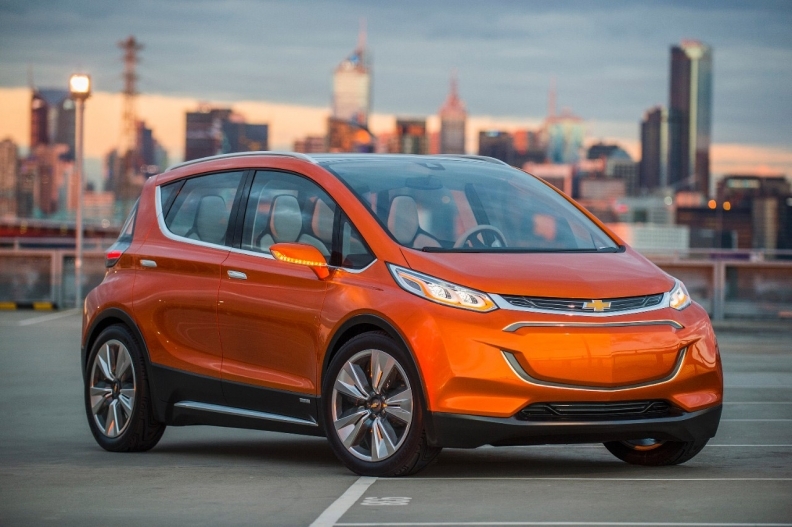 The Bolt concept introduced Monday in Detroit. 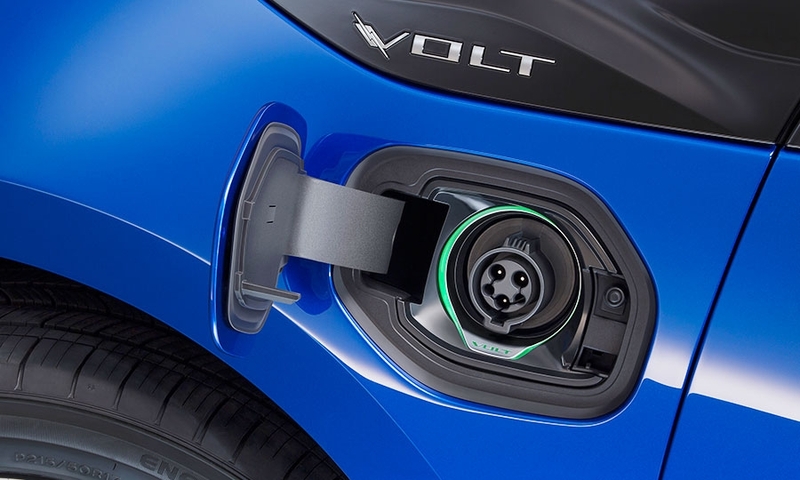 The new drive unit is about 100 pounds lighter and will deliver 19 percent better acceleration from 0 to 30 mph by having both electric motors deliver power to the wheels, rather than one, in both EV and gasoline modes. That setup increases efficiency and produces better acceleration and a smoother ride, engineers say. 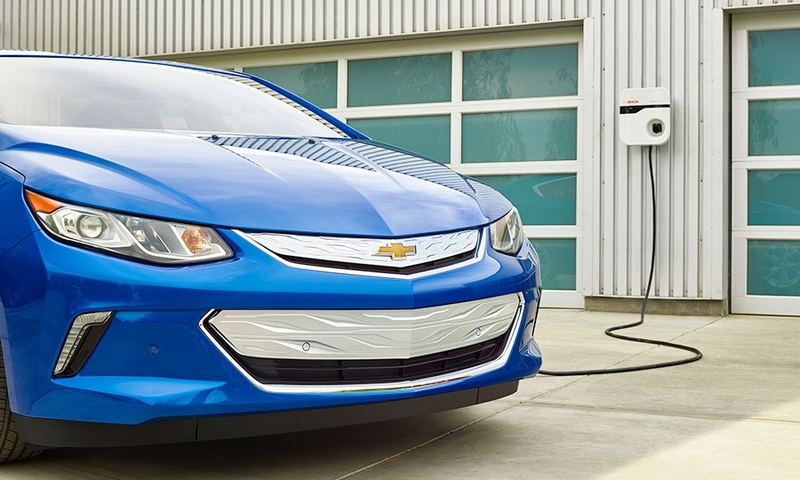 GM made the battery cells larger and increased their storage capacity by 20 percent, but reduced the total to 192 cells, from 288. Overall, the battery pack will store more energy than the current one. 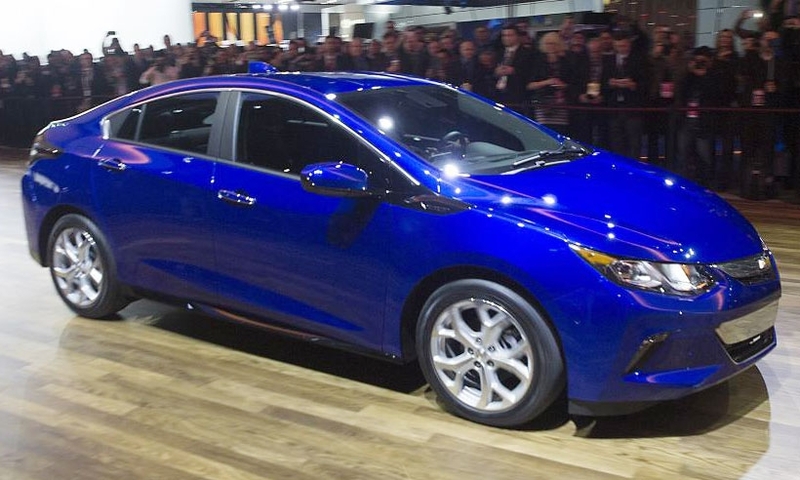 The car is built on a variation of GM's new compact platform, which also will underpin the next-gen Chevry Cruze, due out late this year or in early 2016. An aluminum hood and liftgate add to the mass savings that help the car shed 243 pounds vs. the current one. A new 1.5-liter engine -- vs. today's 1.4-liter -- extends the total range to about 400 miles and returns an improved 41 mpg during non-EV driving. It's the first in GM's new family of small engines -- 1.0 to 1.5 liters -- to be used in the company’s U.S. product lineup. 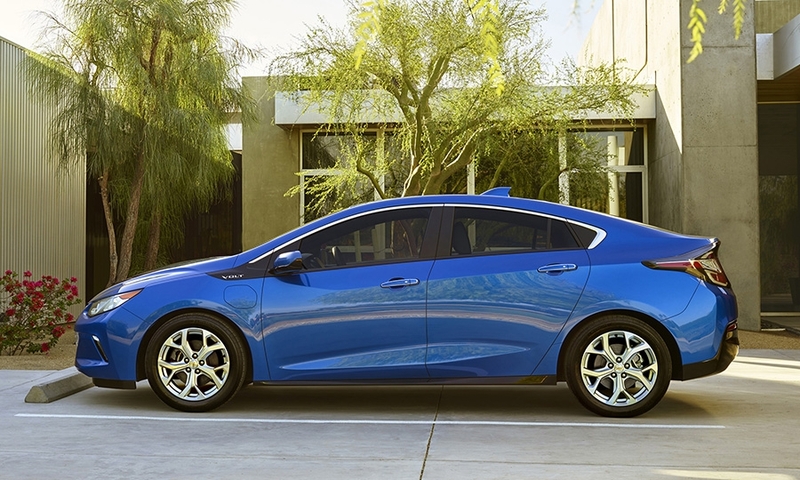 GM chose the 1.5-liter engine, rather than a smaller one, in part because current Volt drivers say they like the powerful, smooth performance of the drive unit -- and wanted more of it. "It's more efficient and provides better performance," says Pam Fletcher, GM's executive chief engineer for electrified vehicles. "We wanted to give the full performance of the car, whether you're in full electric mode or using the range extender." The exterior profile has a more mainstream appearance. The roofline is lower, with a tapered, fastback rear. It features a more sculpted hood and a wider and lower grille that features wave-like patterns etched into the chrome. Narrower headlamps are swept back into the front fenders. The center stack has a larger, 8-inch touch screen and is less cluttered than the current one. Extra touches include a heated steering wheel, heated rear seats and wireless smartphone charger, all optional. GM added a fifth passenger space in the rear seat, although it's best suited for a small child. An adult occupant would have to straddle the cup holder. Other new features include an illuminated chart port; active grille shutters that close at higher speeds to improve aerodynamics; and a feature that allows owners to pre-program charging times. 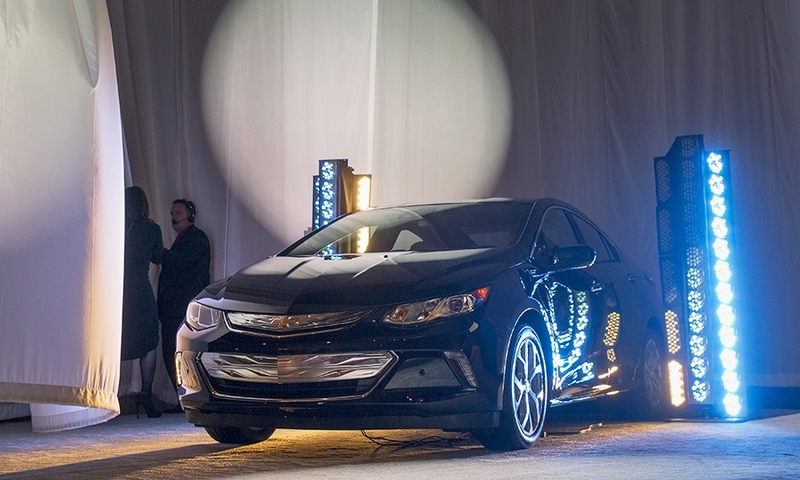 Former GM CEO Dan Akerson said in 2013 that GM was working to reduce the cost of producing the next-gen Volt by about $10,000, which would allow GM to cut the price and sell more of them. The center stack has a larger, 8-inch touch screen and is less cluttered than the current one. 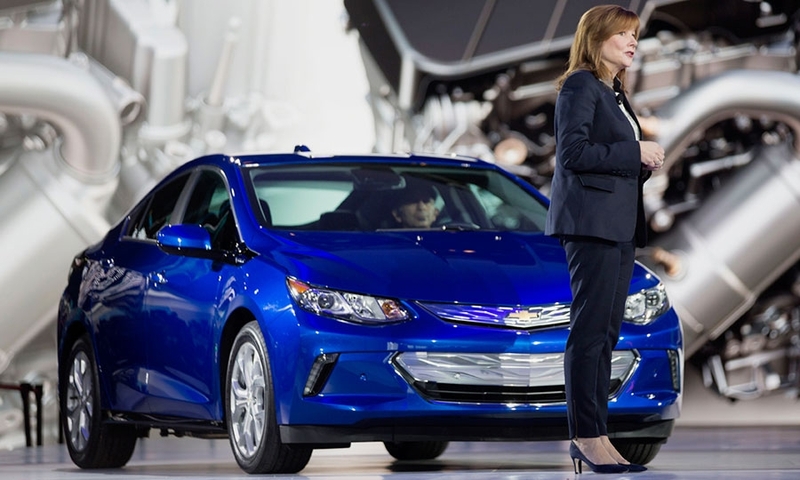 In a roundtable media interview last week, CEO Mary Barra said GM took "substantial" costs out of the forthcoming car, but wouldn't say whether it would be a money maker. IHS analyst Stephanie Brinley said any cost savings "look like they might have been plowed right back into it," because the '16 Volt has better features and capability. But she doesn't think the price tag -- which GM won't disclose until closer to the launch -- will be as much of a barrier to sales this time around. 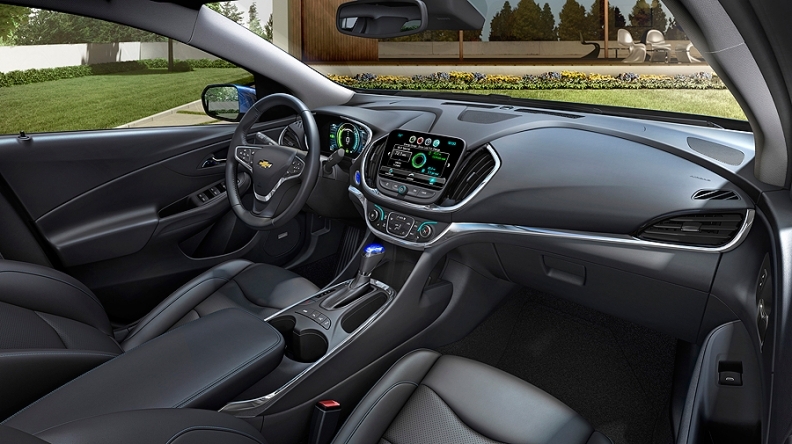 The planned Bolt will also allow Chevy to offer EV buyers something at a lower price point, creating more breathing room for Volt pricing. 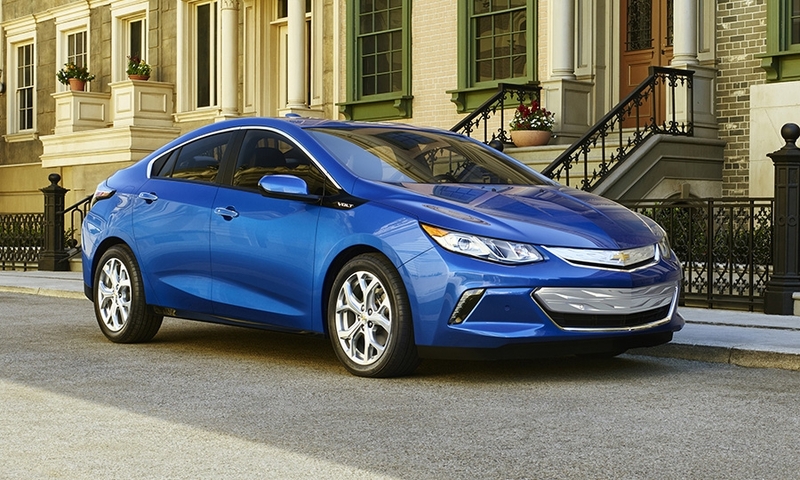 The sticker for the 2015 Volt is $34,980, including destination fee. 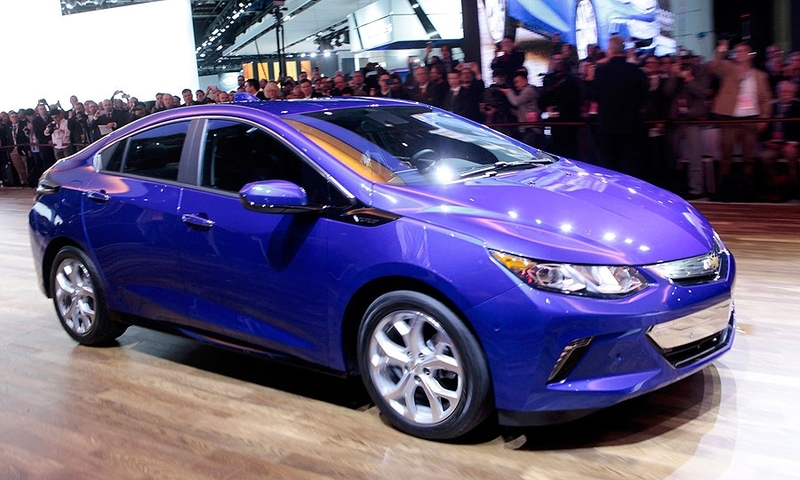 In 2013, Chevy reduced the price by $5,000, citing tougher price competition. 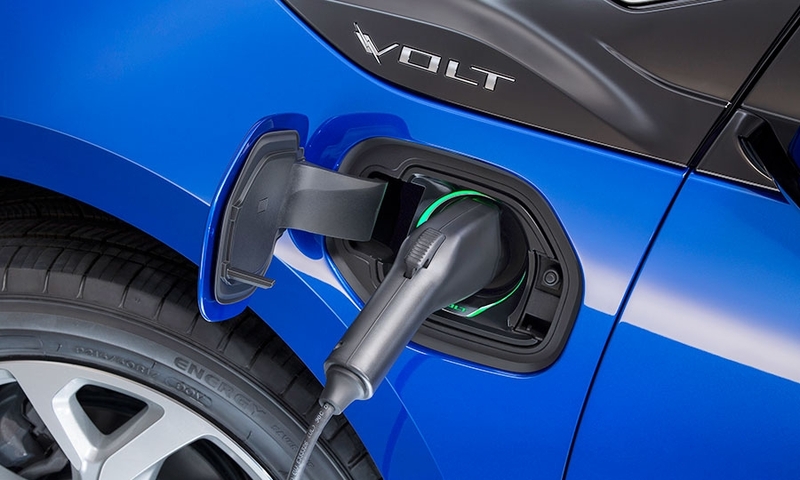 U.S. sales of the Volt fell 19 percent last year to 18,805, amid sharply lower gasoline prices. Sales peaked in 2012 at 23,461.Despite gasoline prices hovering around $2 per gallon, IHS expects Volt sales to exceed 35,000 in 2016. They will likely fall after that, though, when the Bolt goes on sale, the firm predicts.